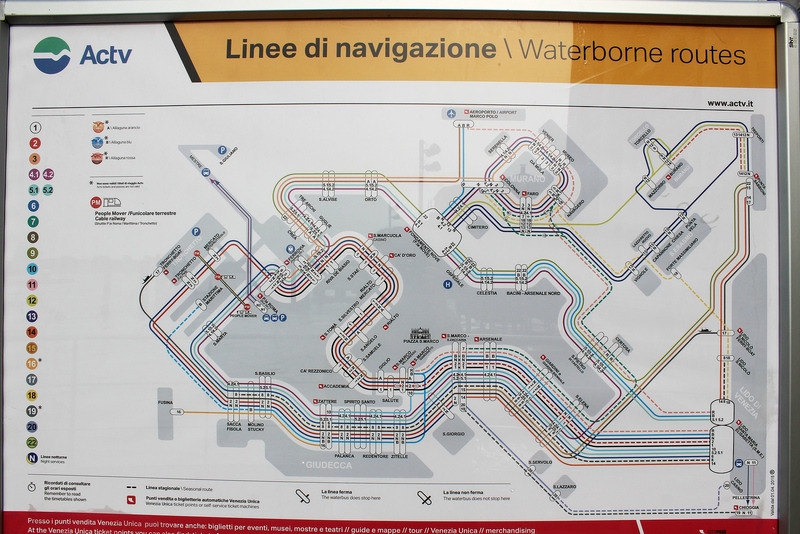 Figuring out Venice’s transportation system can be confusing. At least I was confused when I first started doing research for our trip. To save you the hassle, I’ve put together a concise and helpful Venice transportation guide. After all, you’ve got plenty of things to plan for your upcoming holiday to Italy, so this is one less thing to worry about. Let’s start with your arrival. You’ve reached the Venice Marco Polo airport and collected your bags. Now what? Walk out towards the main hallway from the baggage collection area and turn left. Walk almost as far as you can go, and go to the booth on the left hand side at the very end. 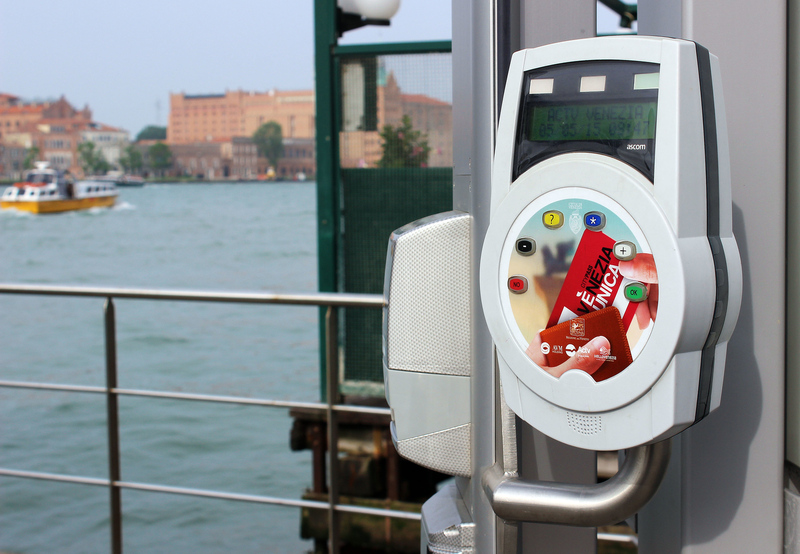 This is where you can purchase your bus ticket to Venice, along with your ACTV ticket to ride the vaporetto (water taxi) in Venice. You can also purchase these tickets online in advance if you’d like, although there was no line-up when we arrived and it was no problem to buy the tickets in person. We were in Venice for 3 days, so we purchased the ACTV 3 day ticket (72 hours) and airport transfer bus (1 way) for €46. Since Justin was under 30 years old, he was able to take advance of the youth discount card called “Rolling Venice”. By purchasing the Rolling Venice card for €6, his ACTV 3 day ticket and bus transfer was only €28. There are other benefits and advantages to buying the Rolling Venice card, such as museum discounts. 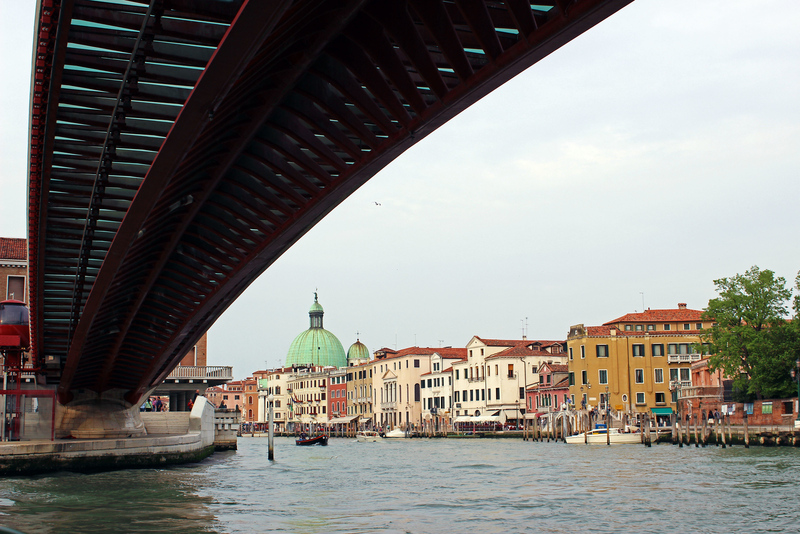 Alright, so you’ve bought your transit tickets and you’re ready to get to Venice. Take the Line 5 Aerobus, which you catch just outside the arrival lounge (exit B). It takes about 20 minutes to reach the main bus terminal at Piazzale Roma, where you can ride the vaporetto to your hotel or accommodation. With your 3 day ACTV transit ticket, you can use the vaporetti as much as you’d like for 72 hours. It starts from the first moment that you scan it before boarding a vaporetto. At each taxi stop, you’ll see a white electronic card reader. This is where you need to tap your card each time before boarding. Hold your card close until you hear a beep. Don’t forget to do this. There are hefty fines for those who forget to scan their cards or don’t pay at all. Also, don’t tap your card on any green machines that you see, as these aren’t the proper ones to use before boarding a vaporetto. 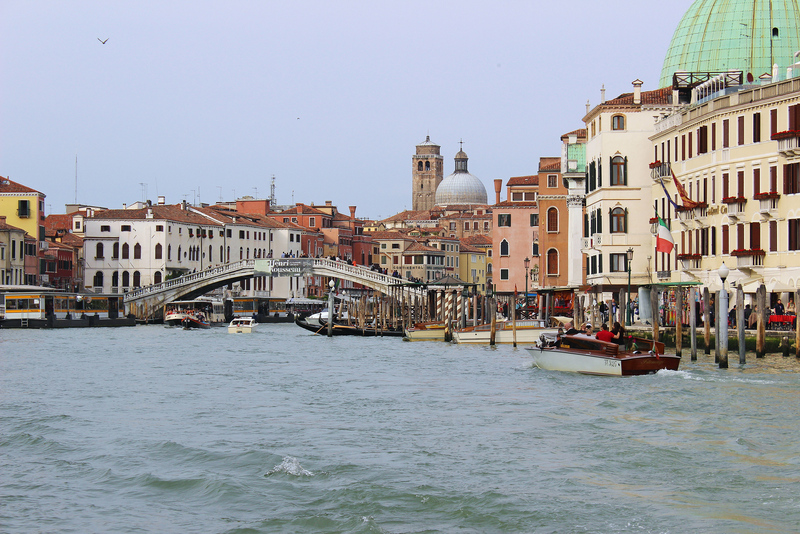 There are several transit lines that take you around the perimeter of the islands, through the Grand Canal, and towards the smaller neighboring islands of Lido, Murano, and Burano. It’s a good idea to consult the route map. Become very familiar with this map. Some vaporetti go in one direction, and some go in the opposite direction. Make sure you get on the right one! 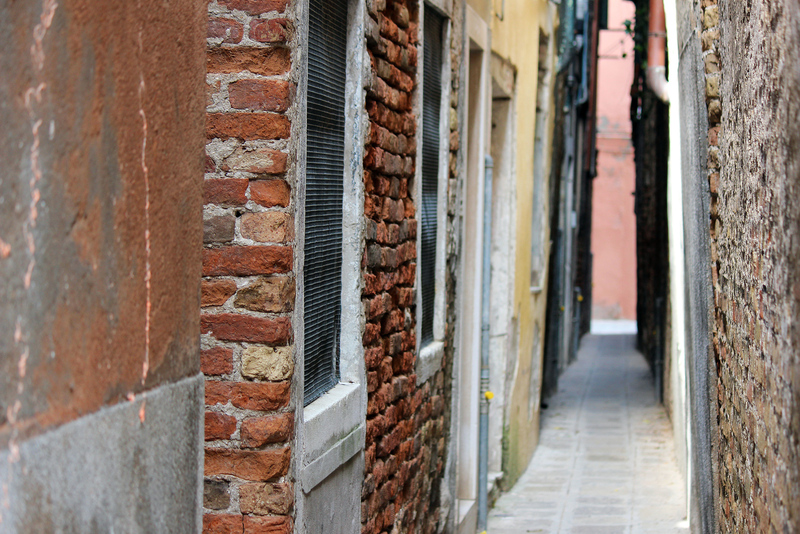 You might have to transfer to another line to get to certain destinations, like Burano and Murano. All of these transfers are completely included in the price of your transit card, as you have an unlimited amount of rides within those 72 hours. Enjoy the ride. This is definitely the cheapest boat ride in town, and you’ll be able to see some very interesting sights while riding around. I highly recommend that you take a vaporetto ride down the Grand Canal just to check it out. Seeing Venice by boat offers a different perspective of the city that’s entirely unique to anywhere else that I’ve ever visited. It was our first time in Venice and we just had to take a gondola ride. Some people don’t think it’s worth it for the money, but you have to decide for yourself if you think it’s worth it. We were traveling there as a couple, and it’s a romantic thing to do. I think it was definitely worth doing as it was a fun experience to share together. We reserved our gondola ride ahead of time using a Tinggly gift box experience. This was very easy to do, and we arranged a set time and place to meet in advance. The gondola ride was at dusk and there were several gondolas that glided together along the canals, complete with musicians to serenade us. 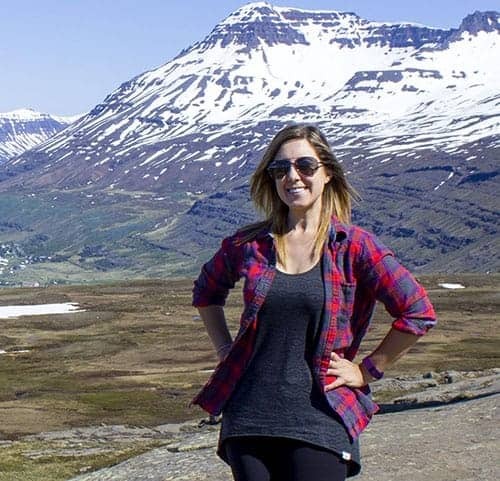 It was a very magical experience that I highly recommend. 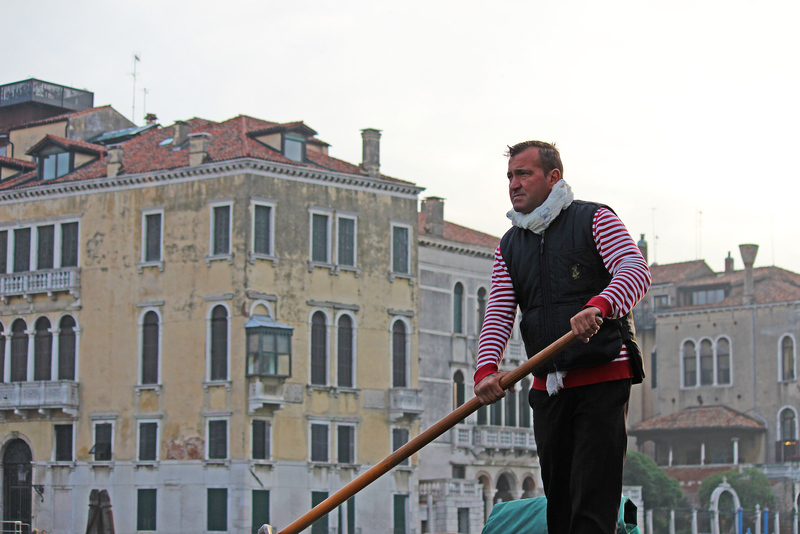 You can negotiate to ride a gondola on the spot at a number of places in Venice. 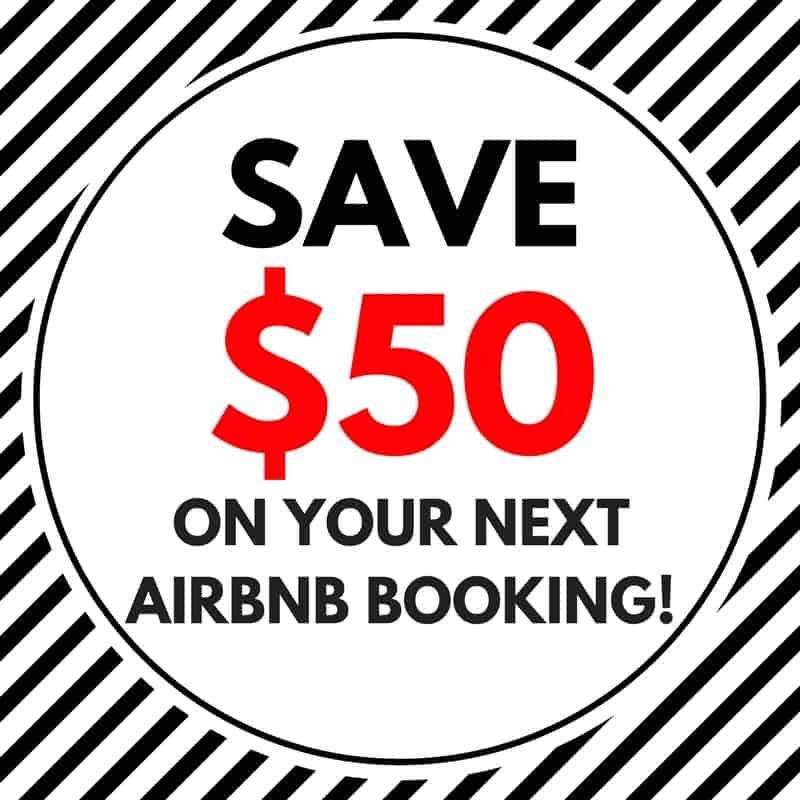 The rates tend to start around 80 Euros, climbing to 100 Euros after 7:00pm. Up to 6 people can sit inside a gondola. You can haggle with the gondoliers for the amount of time in the gondola, the price, and whether or not you’d like music or singing with your ride. If you’re interested in riding a gondola for much cheaper (and much less time), you can ride one of the public gondolas called traghetti. These are used to shuttle people across the Grand Canal where there aren’t bridges to cross, and cost only €2. 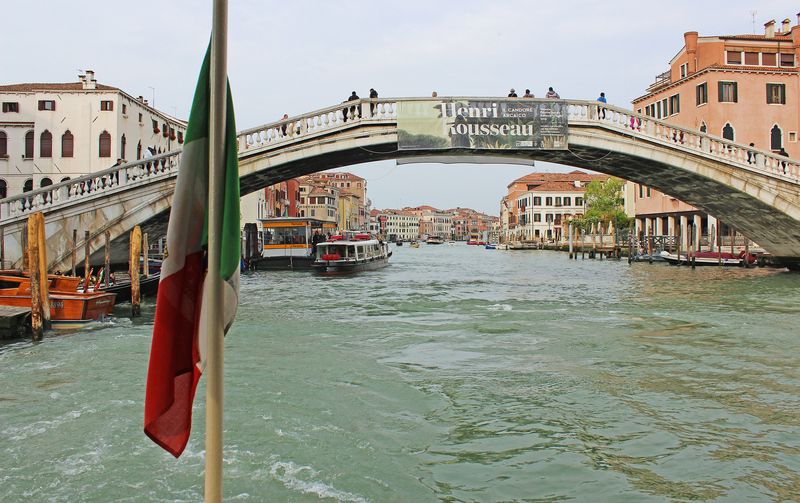 The trip is very short, but it’s a cheap way to experience a gondola! Most of Venice should be seen by walking around. 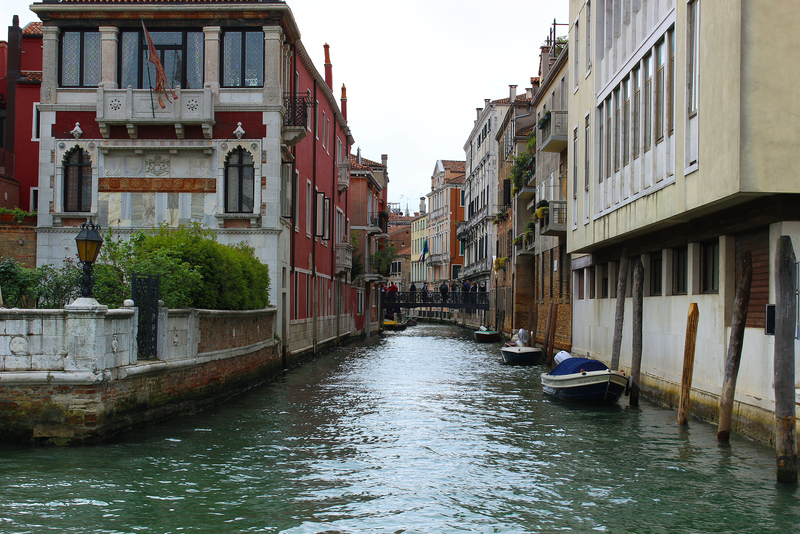 I covered this quite extensively in my blog post, Getting Lost: Exploring Venice on Foot. 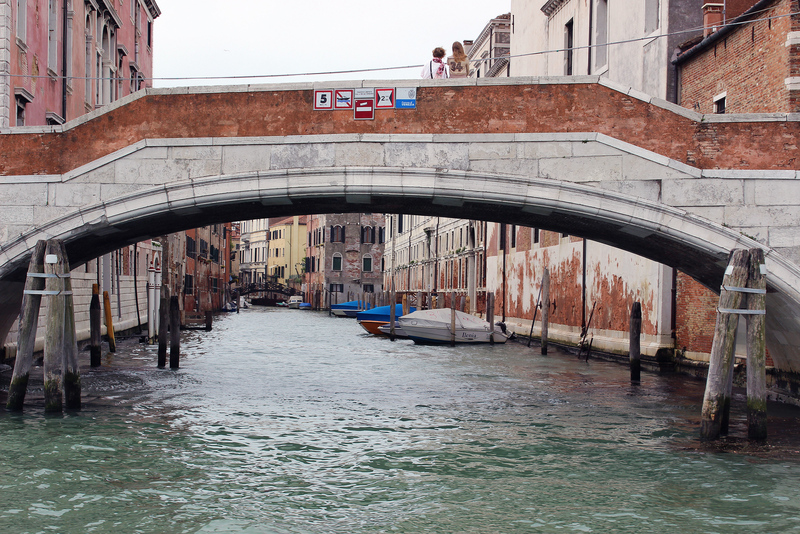 Walk around, get lost, and explore the alleyways, bridges, and canals. At the end of our three glorious days in Venice, it was time to go. We bid the city farewell and ventured by train to Florence. We purchased our high speed train tickets ahead of time. Many of the local train tickets can be bought on the spot, but always buy your high speed train tickets as far in advance as possible for the best prices (and in case they sell out). 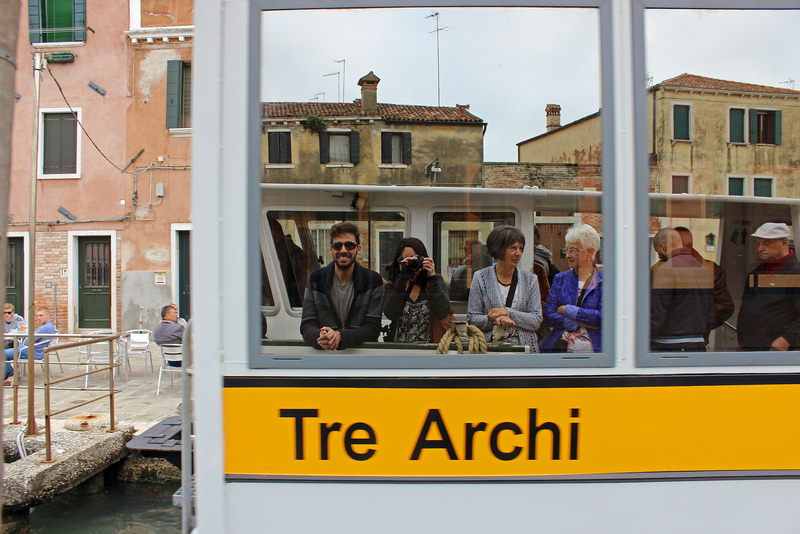 Take the vaporetto to the Ferrovia stop. 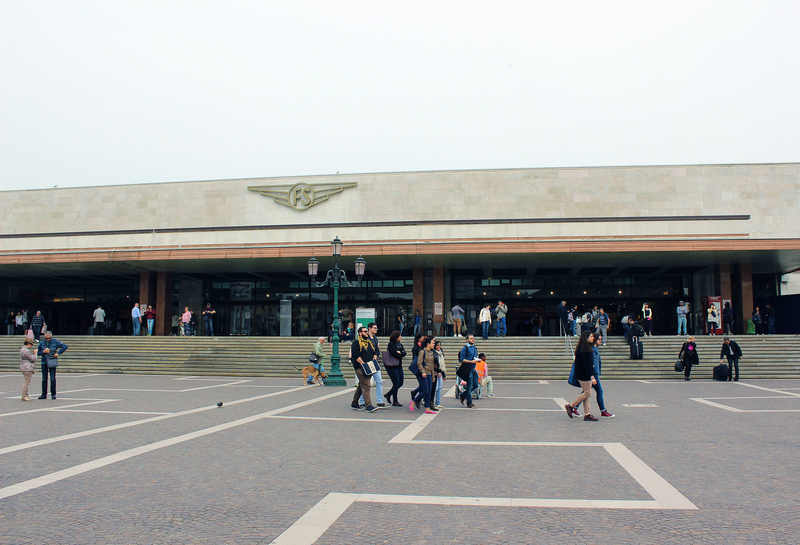 You’ll see the Venezia Santa Lucia station where you’ll catch your train out of town. 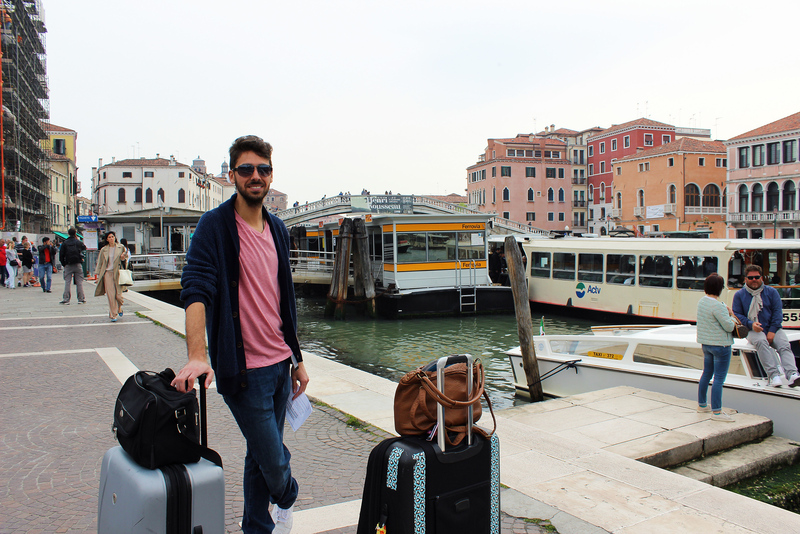 I hope that you’ve found this Venice transportation guide to be useful – please feel free to ask me any questions that you might have in the comments below, and I’ll try to help you out! 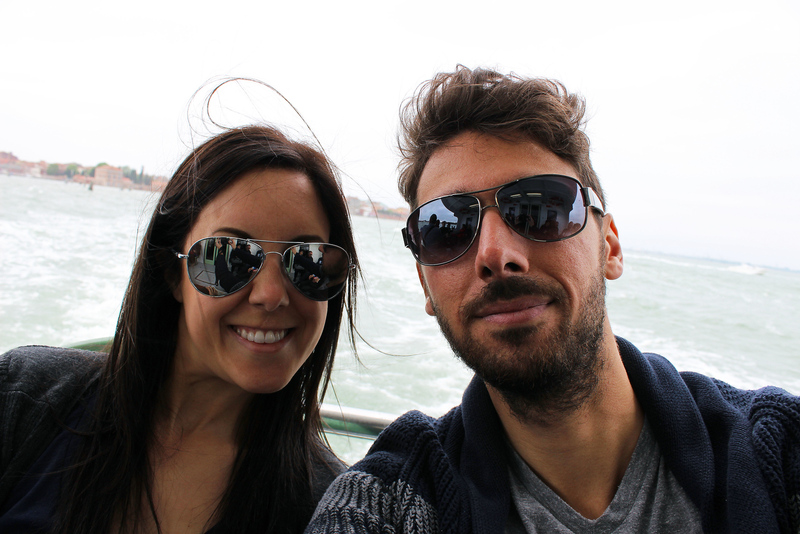 If you’re looking for more tips, Karolina and Patryk shared their Top 10 Venice Travel Tips! PIN this image to your Pinterest board for future reference by clicking the top left corner. Very useful information! I admit I’ve used most of the transportation available! Walking is my way to go though! 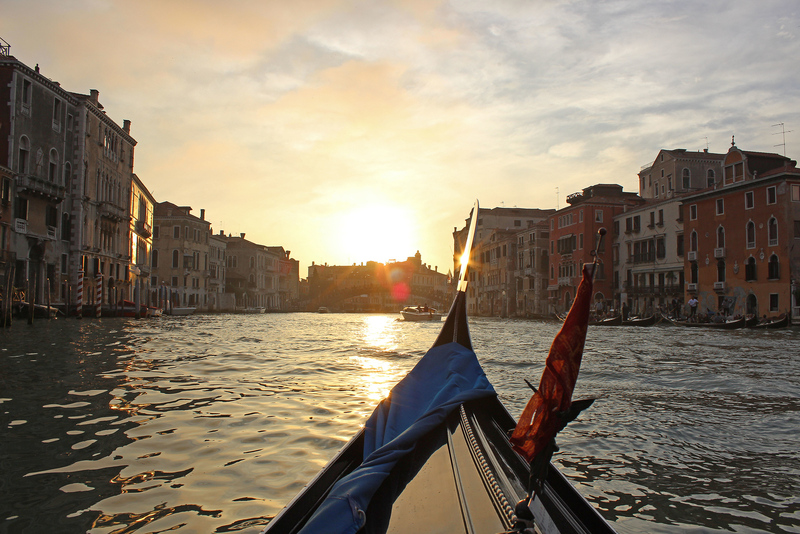 Getting around Venice can be tricky, so this is a great guide. I love the water taxis! I so enjoyed the water taxis in Venice and this would have been a great resource to have when I was there. I’ll tell you a secret… the one thing I am jealous of my sister for, is that she has already been to Venice :) It is on my short list, she just got there before me! Great post.